If you are looking to fully experience the Irish countryside and beyond, the Ring of Kerry is a must the next time you are in Ireland. 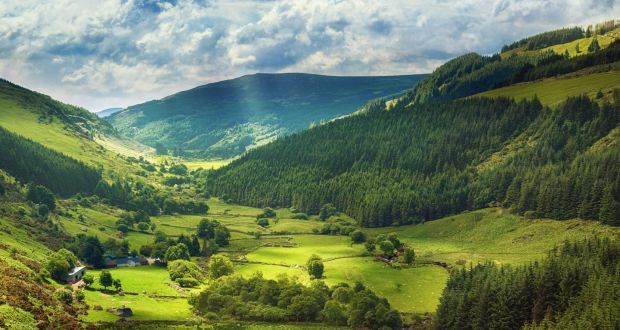 The Ring of Kerry takes you through deep lush forests to sandy beaches and majestic landscapes. Not only will you get to see the real beauty of Ireland, but there are also plenty of iconic places to stop and see while on your journey. Located in southwestern Ireland, the Ring of Kerry is a circular tourists route that takes you through beautiful Ireland. The route starts by following the N72 to Kenmare. It then jumps on to the N70 taking you around the stunning Iveragh Peninsula. The route then heads towards Killorglin followed by the chance to pass through Sneem, Waterville, Cahersiveen and Glenbeigh. After going through the Irish towns, the Ring of Kerry takes you on the N72 back to Killarney. The Killarney National Park is home to the Ross Castle and the breathtaking panoramic viewpoint known as Ladies View. Also along the route are famous spots like the Gap of Dunloe, Rossbeigh Beach, Moll’s Gap and the Sneem Church and Cemetery. Since there are so many stops along the way, you can take as long as you want to travel the famous route. Some do the Ring of Kerry in a day, but if you choose to take longer, there are many places to stay along the way. The Ring of Kerry has narrow roads, so if you aren’t too sure about driving the route yourself, you can take one of many tour buses available. The buses are known to travel counter-clockwise around the Ring of Kerry since the narrow roads make it difficult for them to pass. If you do decide to drive the route yourself, it is wise to travel in the opposite direction of these tour buses to avoid delays. And before you hit the road, don’t forget to be up to date on your car insurance. The great thing about the Ring of Kerry is that you get to experience 10,000 years of Irish history by traveling just one route. The adventurous route will take you from forests to beaches to waterfalls and crystal streams. You will be able to enjoy the entire beauty of Ireland in just one day by driving the Ring of Kerry.